This is a great start. I did visit the web site and found it ok. They did have Wrights Factory Outlet advertised. I was under the impression that this store and factory closed. The web site needs to be updated it actually looks like another web site that was to attract tourists to Sturbridge. Anyway it is a step in the right direction. The study and conclusion is only as good as the follow through. Only time will tell if the GBIS groupies, including the Chamber of Commerce president, will take the advice seriously. 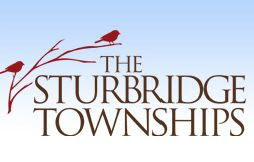 Greedy Business in Sturbridge members should understand that positive changes can be sought that benefit town residents as well as their greed.